Clearing your browser history can be one of the simplest ways to keep your search history private. 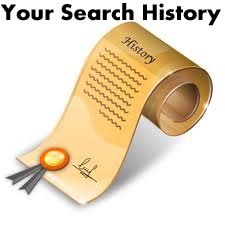 Certainly at one time or another, every person has wanted to or needed to clear their Internet browser history. Whether it was simply to speed up the computer’s processor time or to remove the history so that no one would be able to see the sites where the user had been, clearing the history somewhat insures that they can keep their Internet searches anonymous. Or can they? Internet browsing has become one of the most frequently used applications on the computer. Accessing the World Wide Web is used for personal and business reasons, and there are some individuals and companies who prefer to keep their browsing history private. Each time a person browses the internet and visits a website, their viewed sites are saved to the computer’s local hard drive. There is nothing that the user has to do or launch in order for this to happen. It’s a default save that’s really designed to help the computer and make the user experience more enjoyable. By saving the internet web browsing history and locations, the frequently visited web pages are able to load and launch significantly faster. This is because the files are accessing the computer’s hard drive instead of the need to download the entire web page or website all over again. A re-launch each time would slow down the computer’s processing time significantly and make site-loads slower, more cumbersome and very annoying. However, along with the convenience of having the pages and sites load faster, there are also down sides to this great idea. Since those loaded pages can take up a great amount of space on a person’s hard drive, it becomes frequently necessary to delete the computer’s Internet history and activity from time to time. Unbeknownst to many computer users, the computer’s hard drive stores a great deal of information about the user’s search habits and activities. For instance, you can find out about the person’s shopping activity, banking activity, sites that they’ve visited, images and movies they’ve viewed and even activity they’ve done on social networking sites. The hard disk stores all of this information and takes up valuable disk space. Recouping that disk space can benefit the computer and speed up daily computer tasks as well. It is quite easy to go into most any computer system setup and delete the history, simply by following a few steps that are for your operating system. It’s a good suggestion to do this as often as possible, or even to set a reminder for you to do this at regular intervals. What kinds of things can and should you delete from the history? Browser history that shows where you’ve searched. Address bar history that eliminates the web site addresses of places you’ve been. Erase any autocomplete memory (prefilled password addresses). List of recent documents and any links to the works. There are numerous software applications and services that can assist you in clearing your computer’s history. Sometimes simply hitting clear or delete is not enough to take care of removing files and history, and you may need to go into a more sophisticated browser and history clearing session. This is best determined by making a computer analysis of what already exists on your computer’s hard drive and what needs to be done in order to maximize any available space. Since this is a sensitive area for privacy reasons, it’s best to either do it yourself or enlist the services of a computer professional to ensure that it’s thoroughly and correctly.